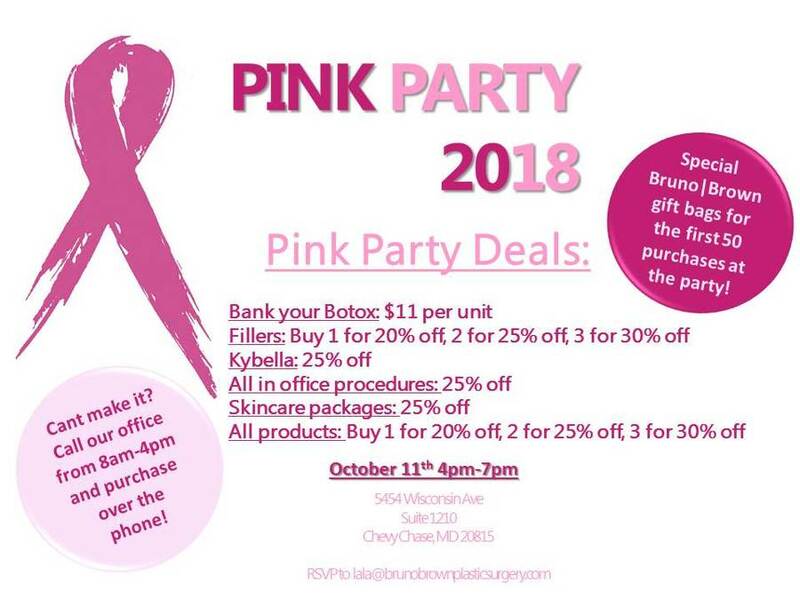 Thank you for joining us for our Annual Pink Party in honor of Breast Cancer Awareness month. Post a picture during the event with the party hashtag for two extra tickets! Plus special Bruno | Brown gift bags for the first 50 purchases at the party! "I was diagnosed with breast cancer in May of 2015 and chose to have a double mastectomy with breast reconstruction. My breast surgeon referred me to Dr. Brown of Bruno Brown Plastic Surgery in Chevy Chase, and after my first meeting with Dr. Coleman Brown, I knew I didn't need to look any further! His staff greeted me with smiles and made me feel very comfortable" — Theresa R.